A twenty-year-old local mystery that has never been sold. First, let me apologize to my long-time followers for the unknown print length and publication date. At the time of this posting, there are two different print lengths and publishing dates available for this novel although both are published by the same company. Now that I've taken care of that, let's dive right in to this review. I'm starting to think that 2019 will the the year of the three stars. I've yet to read anything that captures my attention and keeps it without me rolling my eyes or putting it down. The synopsis of this was what drew me in. I was even interested for the first couple of chapters. And then.. it just seemed to fall apart for me. I live in a small town. The kind where everyone knows everyone else's business, so that part wasn't surprising. What WAS surprising is how certain neighbors seemed to keep their "dirty laundry" hidden for so many years, and how other people can be so oblivious to the obvious. There is no way the huge secret one neighbor harbors would have gone unknown by Emily even though it happened years before (even if she left town, her sister surely would have told her). I also had trouble believing that after years of refusing to come back, Emily would suddenly pack her bags and come return to her childhood home without more information from her sister. The majority of these characters are one-dimensional, focusing obsessively on the past, acting like they didn't have the brains to run an investigation (I'm looking at you Officer), or otherwise acting in a stereotypical way (the jerk of an ex-husband for example). It felt like instead of building something, the author just went from zero to sixty. 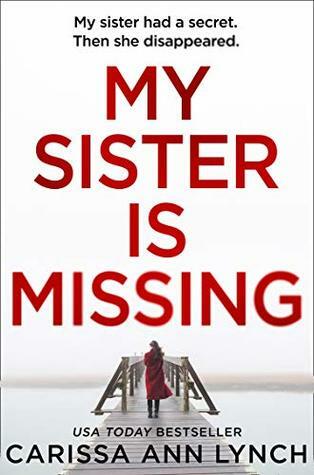 The sister is missing, Emily is little worried, and then suddenly every one has a dark secret and no one can be trusted. I will say the ending did contain some surprise twists that did not see coming, which honestly is what saved this from being a two star read for me. All in all, this is a well written novel, and I do think it will appeal to those who enjoy these sort of thriller novels. I would read more from this author.